In 2016, Brightside Clinic in Northbrook and Tinley Park treated over 375 people seeking treatment for opioid addiction. 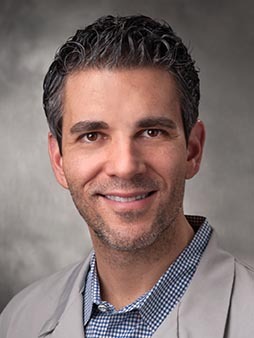 To continue the mission of providing the best treatment for everyone, Brightside Clinic is excited to announce the appointment of Dr. David Kushner, D.O., FACP as our medical director. Dr. Kushner has been a hospitalist caring for patients with addiction since 2000, and he has been associated with the clinic since its inception in May 2015. Since then, Dr. Kushner has become a sought-after physician in the clinic and is beloved by patients and staff. In his 17 years as a practicing physician, Dr. Kushner has treated addiction wherever it surfaces – in the intensive care units of leading hospitals, in emergency departments, and now in long-term management of patients struggling with this disease. As medical director, Dr. Kushner will help lead the medical team at Brightside, bring forward the most cutting edge treatment, and help develop and implement new treatment programs.